As some of you know, I’ve been a little bummed lately with my countdown to financial independence (FI) and early retirement being a ways out. Although I have a plan to retire before my 50th birthday, I just feel like this is too far out. Every day that I spend at work is one less day that I get to spend with my daughter. Granted, this is the summer when she’s not in school, but it’s tough regardless (which I’m sure it is for most parents). Life is short and I want to spend more time with my family and chasing my interests and dreams instead of spending 45 hours a week in an office chair. Well, I now thought of a possibility to close in on FI a little faster, but I need some input from you guys. 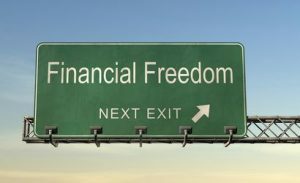 If you’re not familiar with my game plan to reach financial independence, now’s the time to check it out. For the most part though, the plan revolves around getting our mortgage paid off on our residence. We’ve been investing like fiends for a number of years and have some pretty decent size investment accounts lined up. We’ll continue to contribute to those and hopefully they’ll keep growing over the next handful of years. Once our mortgage is paid off, those investment accounts plus our rental properties should be strong enough to carry us throughout our retirement. The hang-up though is that stupid mortgage. Right now, we’re basically eating out of dumpsters to put a ton of money each month toward that loan. Ok, the dumpsters part is a bit of an exaggeration, but we are running a fairly tight ship over here. The plan is to keep paying solid money on that mortgage as well as the mortgage on our rental house. Our residence is slated to be paid off in November, 2026, which is almost a year and a half after my planned FI date. However, the rental house should be paid off well ahead of that in August, 2022. At that time, we plan to throw all that extra cash flow from the rental house toward finishing up the loan on our residence in time for my July 2025 FI date. The problem comes down to the fact that I need a way to get the house paid off more quickly to reach FI sooner so I can dump the 9-5 job. But where can I get the extra money to make this happen? The other day, the idea hit me like a bolt of lightning. That was the day I invented time-travel. I remember it vividly. I was standing on the edge of my toilet hanging a clock, the porcelain was wet, I slipped, hit my head on the sink, and when I came to I had a revelation! A vision! A picture in my head! A picture of this! 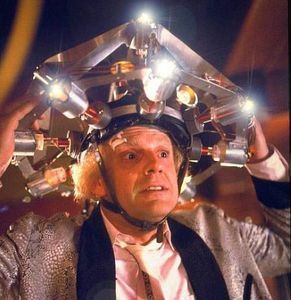 This is what makes time travel possible… the flux capacitor! Wait, wait… no – that wasn’t me. That must have been someone else. My epiphany was a little different. But the good news is that it still involves a toilet! Why not stop my Roth IRA contributions and pay down my mortgage faster? Now, that’s probably not something you hear very often – scaling back on saving money in order to retire earlier. But in my case, that’s exactly what I’m thinking. This was the first year I would have been able to get close to maxing out my Roth IRA (in addition to all the other accounts I’m saving and investing in). I’ve been contributing $200 every other week. Monthly that comes out to about 433.33. So, instead of sending that off to my Roth IRA, I could take around $435 and apply that to the principal on my mortgage instead. According to the What If Tool in Quicken (which is awesome, by the way! ), that would shave 2 years and 7 months off my payoff date to make it April of 2024. Right off the bat, that means I’d be able to hit FI over a year earlier than my planned July 2025 date. How about some pluses and minuses? Well, there’s really one big minus that I can think of. 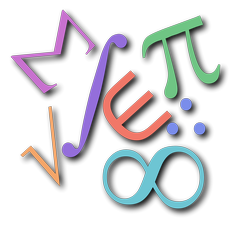 Mathematically, this is the stupidest idea ever. The interest rate on my house is unbelievably low at 2.875%. Even if you figured in some crappy years with the stock market, the return would likely still be higher than my interest rate. Anyone who knows anything about personal finance will tell you that a rate like this is outstanding and you should drag this out as long as you can. So it’s pretty much a sure bet that I would lose out on growth with money that could be going into the Roth instead. The interest deduction on the loan would also start diminishing quicker for my taxes. On the plus side, I could reach financial independence over a year sooner. That’s huge!!! I’m definitely ready to be done with the 9-5, so that would take a huge weight off my shoulders. And, as I’ve rambled before, I really do have a distrust for the stock market, so maybe that’s one way of not throwing more money at it for a little while. I wouldn’t be abandoning the market altogether though – I would still be contributing the max every year to my 401(k). And my wife would continue putting money into her 401(k) and her Roth IRA (although she doesn’t max either one of these out). Also, I wouldn’t bail on the Roth IRA completely. Assuming I receive pay increases annually at work, I could then use the money from the raises to slowly start building back up contributions to it over the next few years. And finally, I would also have 2 mortgages paid off at that time – my residence and my rental house. What a sigh of relief that would be! With this plan, when the rental house would get paid off in 2022, the additional rental cash flow wouldn’t be needed to finish paying off my residential mortgage. I could use it to build back up my Roth (even though I’d miss out on 6 years of growth). Or I can build up a bigger savings cushion for those first 5 years of retirement while I wait for the Roth IRA Conversion Ladder to kick in. The more I think about this, the more I think it’s a good idea. Although I’ll miss out on some compounding interest in the Roth, being able to quit my job a year earlier would be outstanding. 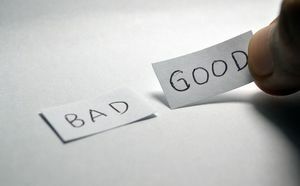 But maybe I’m missing something and I don’t want to make a decision like this without thinking it all the way through. This is where I need your help, readers! What do you think? Does this make sense to do in my case or am I off my rocker? I’m not sure I completely follow why having the mortgage paid off is a prerequisite to quitting the 9-5. If the options are retiring with a $50,000 balance on your mortgage and a lower Roth IRA balance or retiring with a $0 balance on your mortgage and a Roth IRA with $50,000 extra dollars, what’s the real difference in those scenarios? Since you can withdraw contributions to Roth IRA penalty-free, it seems to be the exact same position. In fact, if you felt concerned about the mortgage hanging over your head on the day you retire, you could easily transfer the money from your Roth IRA and pay off your mortgage. To me, having the money in the Roth IRA gives you two options at retirement, whereas stopping contributions to your Roth IRA limits you to one path. 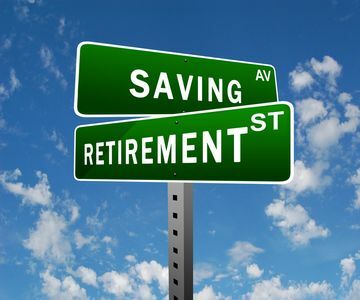 Plus, another benefit of having more money in your Roth IRA will let you make better tax planning decisions in retirement by selectively withdrawing from pre-tax and post-tax accounts to limit your overall tax burden. Am I missing something? I guess you could be reasonably concerned that the Roth IRA investment will not perform as well as the guaranteed return of paying off your 2.85% mortgage, but there’s nothing keeping you from investing the Roth IRA conservatively if limiting volatility is important to you. I’d vote to keep contributing to the Roth IRA and then decide what to do with the extra money right before retirement. Thanks, Biglaw – that’s a good point about being able to pull from my Roth to be able to payoff the mortgage. For some reason, having that mortgage seems to be my big hang-up that I have a hard time getting past. I’m going to re-work my numbers without worrying about paying it off and see if I can still quit the 9-5 sooner (which would be wonderful!). Yeah, there’s absolutely no reason you have to have the mortgage paid off to quit your job. I no longer work, yet I still have a mortgage. It’s all a matter of cash flows. My cash flows easily cover my mortgage, so there’s nothing to stress about. That’s good to hear – I actually have the mortgage paid off in my calculations as an assumption, but I’m going to do the math with the mortgage in it. I don’t think I’ll be able to FIRE with that monthly weight out there as of yet, but maybe I’ll be able to make it happen in a handful of years. Agree. Money is fungible. Since the earnings potential in a Roth over such a long horizon is better than 2.875%, it’s more like, would you rather have $60,000 extra in the Roth and a $50,000 mortgage, or no extra money in the Roth and no mortgage. I’d take the option with the higher net value, i.e., the Roth. Suze Orman and some of the financial gurus seem to publicize the mortgage payoff option very aggressively, but the math is against them. Thanks, ERN – when you see it on paper, it definitely makes sense mathematically to fund the Roth over the payoff. However, I can also see why some of the financial gurus out there push the payoff – that’s a tempting psychological win to have that chip taken off your shoulder. Good idea, him and sounds like Quicken has a nice tool to help you in the decision process. Not sure I’m in totally sold on how that math works though and the other thing to consider are the fantastic tax benefits of investing in Roth IRAs that you’d miss out on. It’s tough to analyze from the outside though, without having a look at your model and estimates. But it looks like you are considering all the facts in a thorough fashion. Thanks for sharing you plans! Thanks, GS – I think I’m going to re-work my numbers without worrying about paying off the mortgage first and see if I can reach FI sooner. I have a question though, Are you maximizing Traditional or Roth 401(k)? Regarding the topic, I wouldn’t do that. For me 3-4 years is the maximum when I would consider stopping my retirement contribution. Stopping contribution for 6 years to get 2.7 years ‘handicap’… I’m not sure. Hi Stan – my 401(k) is a traditional plan, which I’ll convert to a Roth IRA once I quit the 9-5 by doing a Roth IRA Conversion Ladder. It’s definitely sounding like the feedback from everyone is to not go this route. I’m going to dig into things a little deeper and see what else I can come up with. Thanks, Jon – that’s one idea I never thought of! I don’t think that the extra I pay on the rental house though would be enough to make a huge difference in hacking away at the mortgage on my house. But it’s definitely a good idea regardless. I can totally identify with wanting to have your mortgage paid off before you retire. But listen to the numbers. Saving your money in the Roth is probably the better option. At a mortgage rate below 3%, I don’t even think I’d sweat it. Thanks, DW – the numbers don’t like, but there’s definitely that psychological factor that I need to get past. I’m with all the folks saying that you don’t need to pay off your mortgage to quit the 9 to 5. But, money is emotional and I trust you’ll make the right decision for you and your family. Thanks, ZJ – you hit it on the money with money being emotional! Makes it a little tougher to make the right decisions. Hey Jim, both options are getting you closer to FI – paying off debt doesn’t necessarily mean you’re closer faster if your investments are doing even better. If I were in your shoes I’d go the Roth route. The advice that strongly urges paying off a mortgage early is for people who are not disciplined to manage their money. The fact that you have spreadsheets planning your financial situation out more than 10 years in the future indicates you are probably not one of those undisciplined people . You are far better off investing in the Roth even if you only invest somewhat conservatively in dividend paying blue-chip stocks. The dividends alone should about the same about the same as your low mortgage rate plus you still have some growth over the long run . In retirement, you want to try to manage your tax rate to the lowest bracket possible so why not get tax-free interest in one place and pay deductible interest in another. Should you need additional cash flow in retirement, as other readers have pointed out, you can withdraw your original Roth contribution tax and penalty free. Thanks, Mike – those are excellent points. I’ve been re-evaluating my game plan and hope to have some updated scoop that I’ll release in a new post in the next couple of weeks. Psychological boosts are important too. Pay off that house! Haha, thanks, Julie! I’m still working out a new game plan and should be posting about it in the near future. I’d argue you’re already exposing yourself to the loss of market gains in your Roth in favor of the guaranteed mortgage rate. If this would be the first year maxing your Roth contribution, by making extra payments on your mortgage before hitting the max haven’t you already made the choice to a lesser degree?